The 5th Shanghai International Popular Science Products Expo got underway in Shanghai Exhibition Center on August 24, 2018. 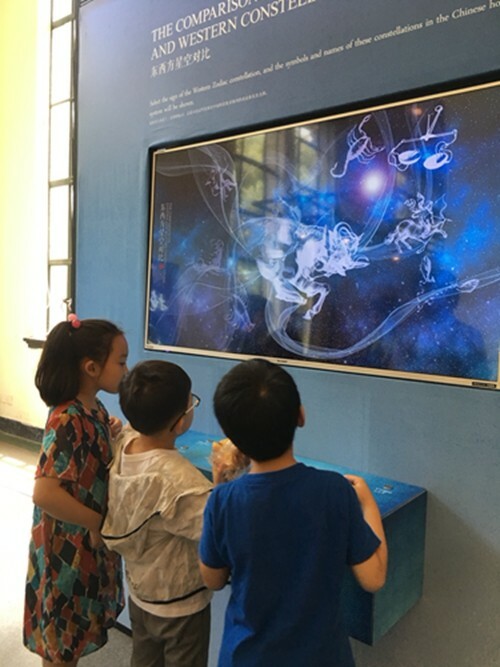 As one of the organizers of this Expo, SSTM sent for display some of the exhibits from "Between Heaven and Earth – Starry Sky and Future in the Eyes of Ancient Chinese", a combination of science and art. It is the first time that the exhibition has been opened to the public. Centering on the theme of "Ancient Chinese Astronomy and Traditional Culture", it explores the relationship between "Heaven, Earth and Man", and demonstrates, through modern multi-media interactive exhibitions, artistic installations, works of art, reproduction of cultural relics and other means, the heritage of ancient Chinese astronomy. Through this exhibition, you can get to know how the ancient Chinese people viewed the sky and the universe, and how their wisdom has become a part of the national character and tradition, which remains influential to this day.